Photo: Patchy areas burned on the slopes of Wild Horse Mesa. Eastern Mojave Vegetation Patchy areas burned on the slopes of Wild Horse Mesa. Photograph taken June 27, 2005 by Phil Woodall, used by permission. 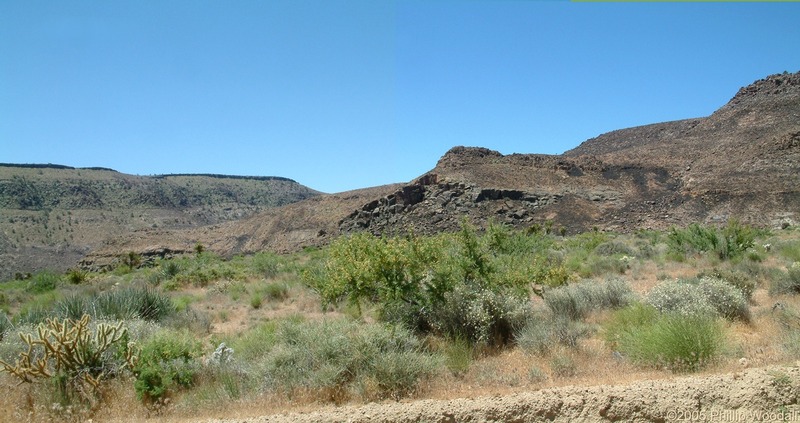 Effects of the Hackberry Complex Fire in Mojave National Preserve, June 22-25, 2005.: 232520.